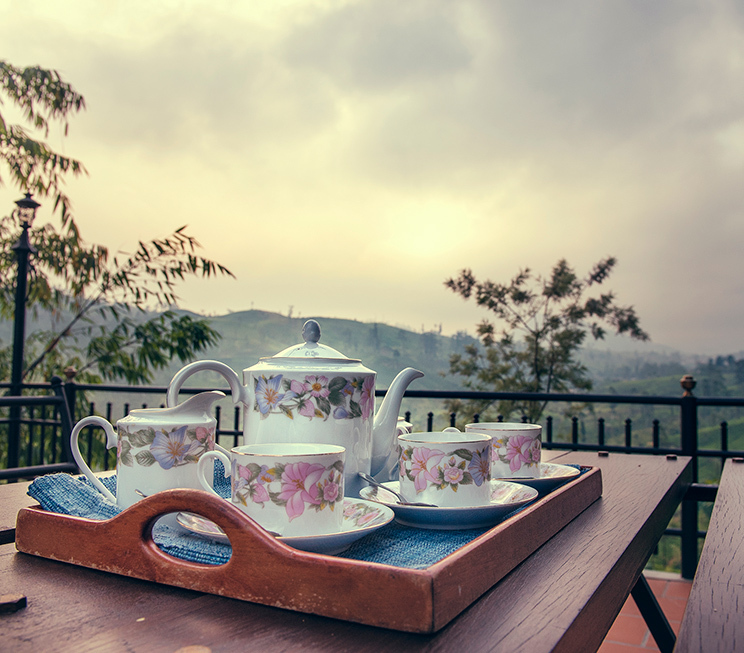 Beyond our surrounding plantations that offer the natural accompaniment of Ceylon Tea for your every meal, Strathdon by Jetwing also offers a number of luxurious dining experiences unlike any restaurants in Hatton. 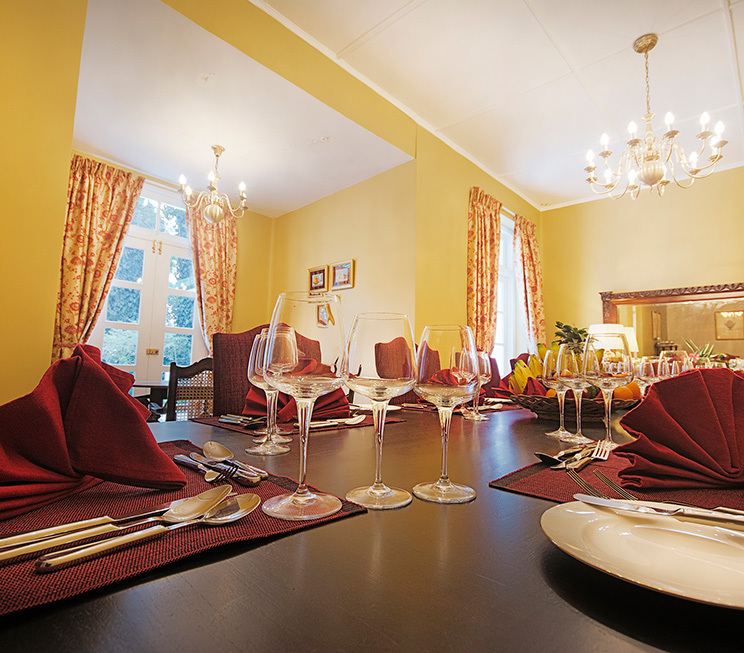 Firstly, our main Dining Room features a regal table for ten in a setting that is no different. Savour a selection of traditional Sri Lankan or modern fusion cuisine that our in-house Chef prepares using the freshest, locally-sourced ingredients from the verdant hills that serve as our home. All meals in our Dining Room are served at your leisure in order for you to effortlessly indulge in the culinary comforts under our warm chandeliers, with the finest of Sri Lankan hospitality to make you feel at home. Strathdon by Jetwing also offers a exciting selection of unique Signature Dining experiences, should you wish to wine and dine in extraordinary settings as a pleasure of our hospitality. From a plush breakfast in bed to alfresco dining in the cool climes, or a packed picnic for sustenance on your highland adventures, we are delighted to serve you meals at your comfort, and will be happy to accommodate your requests for a memorable dining experience at our old-world bungalow in Hatton. Dine in nobility on a table as grand as its setting. Unique dining experiences as a pleasure of our hospitality.